Altar linens are permanent press and embroidered with a red cross. 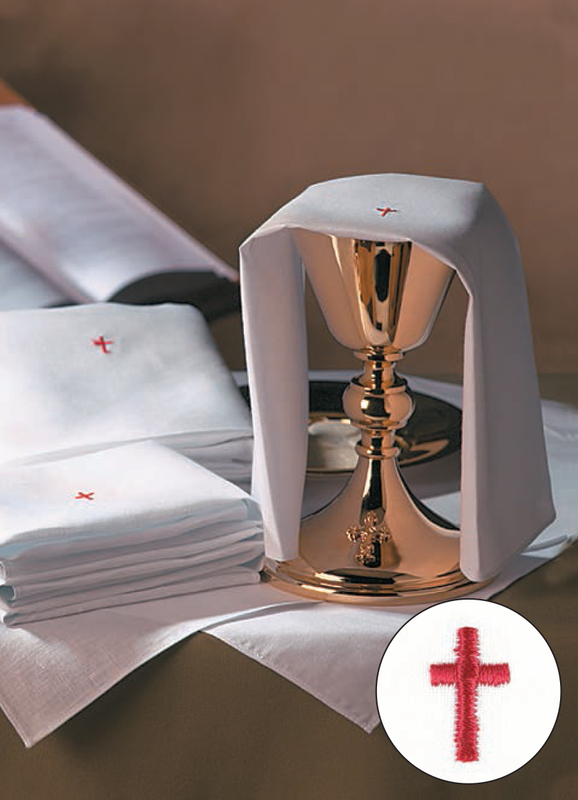 These value-priced altar linens will add beauty and grace to your Eucharistic celebration. Individually bagged. Set includes 12/pk of each YS902 and YS905.